Iraly Yanez dreamed of becoming a professional dancer. But her dreams seemed shattered eight years ago. She was struck then in the spine by a stray bullet. The young Venezuelan woman was left a paraplegic. But now, Yanez has found a way to pursue her lifelong passion—even in a wheelchair. 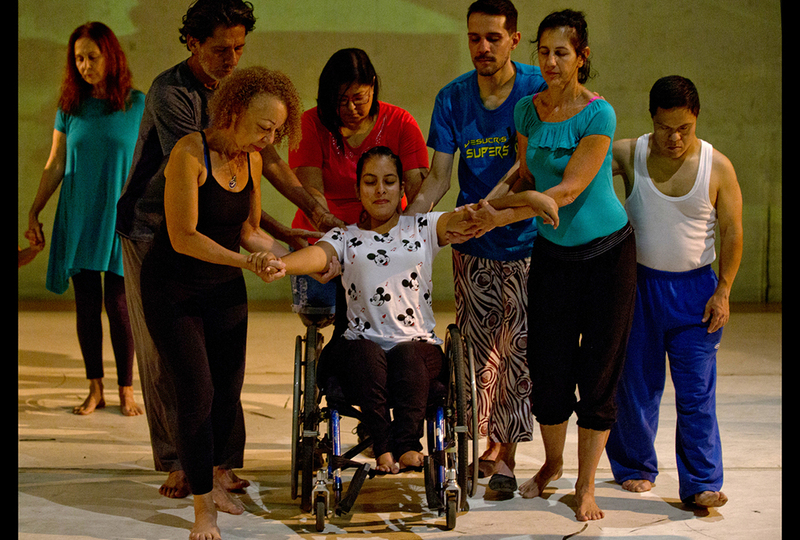 She hopes to get her career back on track thanks to a contemporary dance company that helps disabled people perform. 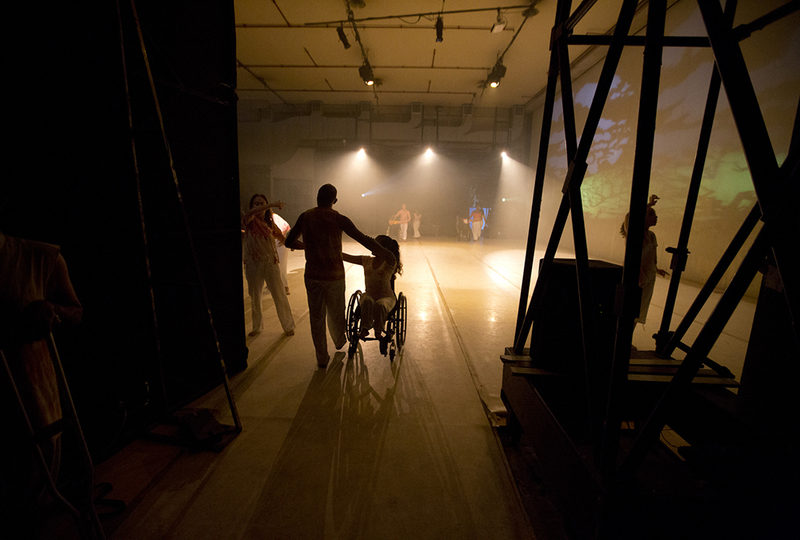 During the show, disabled dancers performed alongside fully abled professional dancers. They hoped to demonstrate that art knows no barriers. 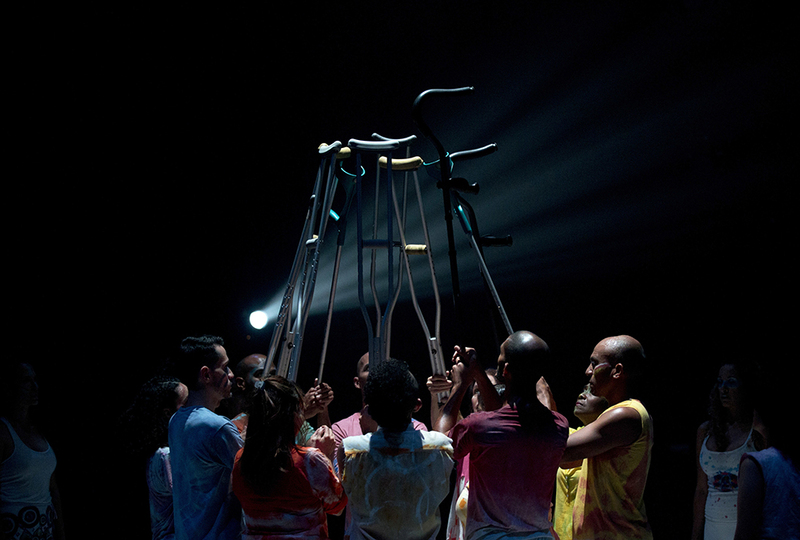 Dancers with limited mobility in their legs raised crutches in the air in unison. 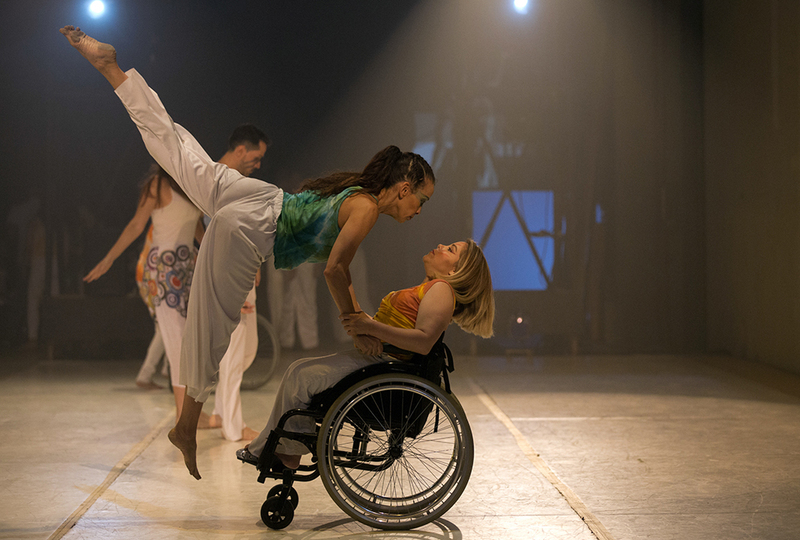 Another dancer hoisted Yanez from her wheelchair, lifting her above her shoulders to perform complex moves together. 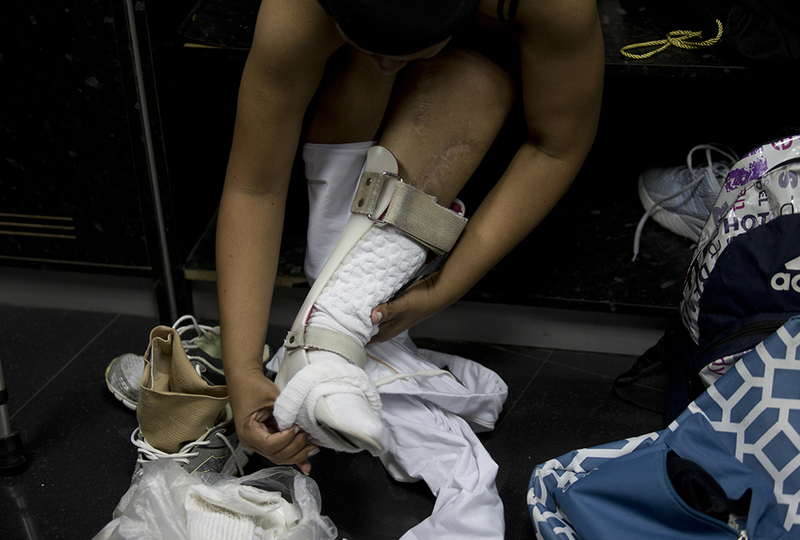 Disabled people in Venezuela face many challenges already. Public transportation is mostly inaccessible to people in wheelchairs. Ramps on sidewalks and in public buildings are rare. And like everyone else in the economically devastated country, they must cope with shortages of medical care and hyperinflated costs of everything from food to medicine to housing too. But having something they love to work for and train for gives many, like Yanez, hope. Dance is an outlet for her to celebrate the life she does have. Yanez’ desire to train and perform has been met in the dance company. She says she has come to terms with the accident that changed her life. Though her present looks different than she had ever imagined, Yanez says she looks forward now to more opportunity to perform with the abilities she still has. That's such a great idea! I hope that disabled people can hear about this and find the hope and strength to fulfill their dreams. I think its really cool that Iraly was able to keep dancing! I love the fact that there are places that will help disabled people live their dreams! wow i only spraind a ankle! and i thought i codn't do anything! I can’t grasp the importance of this. This could be a major movement of the future if we work hard to make it one! This is so cool! I'm glad that they are able to fulfill their dreams despite all the hardships they have to face! I think that more places need to have something like this...... most of the time people with disabilities are looked down on, and or ignored. these people need a place to be recognized by not by who people say they are but by who God says they are. they need a safe place to go where they can fulfill their dreams and show people who they really are. Yes, they may look or act different but they are still His creation-Made in his image. I think that this a great way to let disabled people be able to feel like there part of something too! They should have more of these! I'm so glad people are getting to fulfill their dreams! it's amazing that she kept on fallowing her dream even if she's in a wheelchair. Yes Thank you for writing that! I see so many young children Coping inapropiet danses from inapropiet vidio games! Thank you for standing up fore the truth! Paul P so true some people do stuff like that it is like Oh My Gummybears why do people do this. Oh and by the way I got oh my gummy bears from a previous article. loved this article you have to read it !!! no,no,no,no on,no,no,no,no,No,No,NO,!!!! DON"T!!!!!! We got in trouble for doing that on an articul!!!! Worldteen editors themselves commented on an articul !!! look!!! heres what we did rong https://teen.wng.org/node/4796 and hears the Warning. https://teen.wng.org/node/5199 !! read the comment with no name that was posted by Worldteen edtores. I am not trying to pick a fight here I am just Warning you and giving you the whole schoop!! !